The night would not have been what it was without the support from the Board of Directors at Hazelbrook Bowling Club and many thanks to Marlene and Silvia for all the service, help and support leading up to and on the evening. 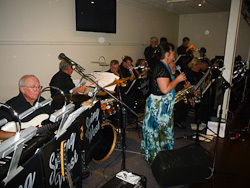 The night was even more successful with the Penrith City Jazz Orchestra, thank you for entertaining us and providing us with great music to dance too! 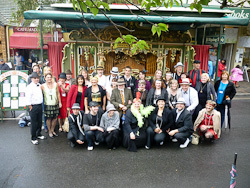 We hope you will all continue to stay in touch and enjoy more quality events with LMNG. Some photos are available and if you were at the Challenge or Hazelbrook Bowling Club and you took some photos, please share them with us by Contacting Us.